A shadow cabinet minister has branded a key Labour Brexit policy “b******s”, according to reports. 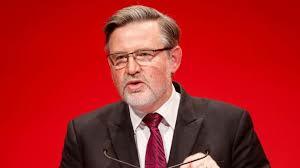 Shadow international trade secretary Barry Gardiner dismissed the party’s demands for the exact same benefits afforded by membership of the single market after Britain leaves the European Union. In a recording obtained by the BBC of comments about the six tests Labour has set for the Brexit deal, Mr Gardiner reportedly said: “Well let’s just take one test – the exact same benefits. B******s. Always has been b******s and it remains it. The comments come after Mr Gardiner already had to apologise for controversial comments he made about the Irish border row. Labour insisted Mr Gardiner “fully supports” the party’s position on Brexit. A spokesman said: “Labour has set six tests for the final Brexit deal. Those include holding the Government to its own commitment to deliver the same benefits as the single market and customs union. Asked what he would do over Mr Gardiner “denouncing” Labour policy, Jeremy Corbyn said: “Barry Gardiner does not denounce our Brexit policies. The latest row comes after a recording of a question and answer session at a think tank event in March emerged where Mr Gardiner suggested the Good Friday Agreement – which marks its 20th anniversary – was outdated. Former Labour Northern Ireland Secretary Lord Hain criticised the shadow international trade secretary as “unbelievably ignorant and irresponsible” while Labour former shadow Northern Ireland secretary Owen Smith said his remarks were “reckless”.